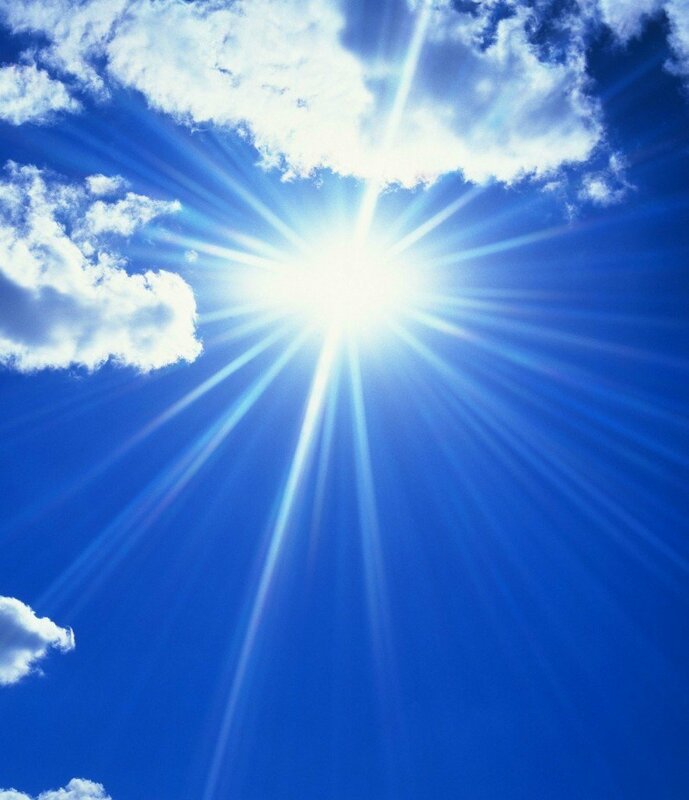 Just for today, let us focus only on the healing power of the sun. You are already aware of the health risks and the need for a high SPF sun screen… but the truth is, without the sun there would be no life, no joy and no warmth. The healing power of the sun has been known for millenia. There isn’t a single culture on the planet that has not worshipped the sun as either a God or Goddess at some point… Shamans of old knew of the power of the sun to heal the mind from depression. So let us celebrate and harness the power of the sun today! Esoterically, the Sun is a major player too. It corresponds to Archangel Michael, chief of Angels, and in the natal chart it represents the self/personality. In the Tarot, The Sun is a sign of success and victory. The numerological correspondence is 1 and the colour is gold. You can harness the occult power of the Sun by performing solar magick. This type of magick should ideally be done on a Sunday and during the hour of the Sun. There is an online planetary hour calculator you can use to find out when the hour of the Sun is on any given day. Any spell you cast will always work best if you use your own words, unless you happen to find a spell that resonates perfectly. Use rhyme and chant the words of the spell three times or three times three. Strengthen the intent by lighting a candle in the corresponding colour. A spell candle for solar magick should be gold coloured and you can anoint it with cinnamon or frankincense to empower it further. You may also wish to mark the candle with a symbol for your wish. Thank you, Michael, so mote it be! The intent is strengthened by visualising Archangel Michael severing the cords with his shining sword of Truth. Any spell candle should be allowed to burn all the way down – safely, of course… never leave a candle unattended! May you always walk in sunshine. May you never want for more.